Mother Nature was on our side, at the 7th Annual Yorkville Exotic Car Show, this past Father’s Day! The event was another huge success, with a record $60,000 raised for Prostate Cancer Canada. 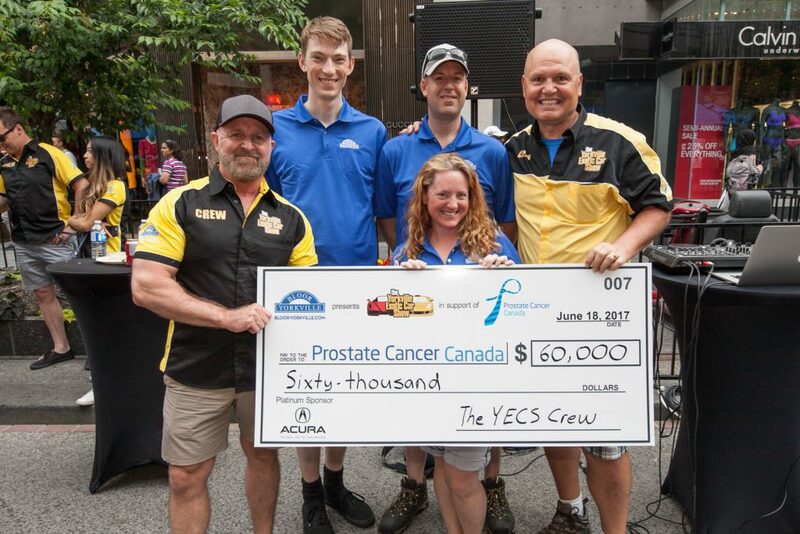 All of our efforts go towards the funding of the Prostate Cancer Information Service – Presented by the Yorkville Exotic Car Show: http://www.prostatecancer.ca/Support/Services/Talk-with-an-Information-Specialist. 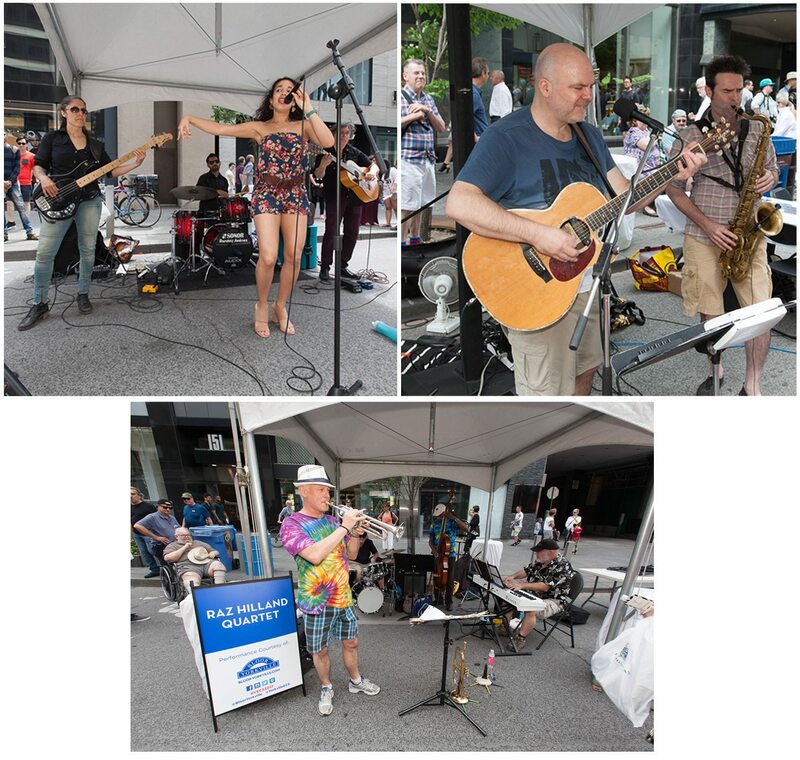 Over 90,000 people walked up and down the spectacular red carpet on Bloor Street, listened to the beats of our three bands: Santerias, David Leask, and Raz Hilland Quartet, while taking in the sights of ten corrals of luxury, exotic, and vintage cars, including this year’s show-stoppers, 2016 Porsche GT3 RS, 2017 Acura NSX, 2017 Corvette Z06, 2014 Ferrari 458 Speciale, the Mclaren P1, the only one of its kind in Canada. 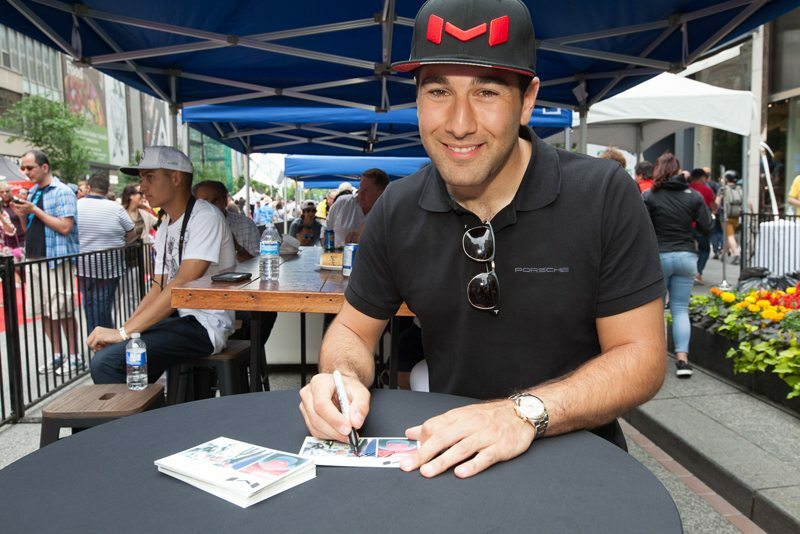 The crowds were excited to meet the 2016 Porsche GT3 Cup Canada and 2017 GTD Rolex 24 Hours Daytona winner, Canadian race car driver Daniel Morad (pictured below). Daniel was onsite, throughout the day, for meet and greets, autograph signing. Also attending the show was Jim Kenzie, Canada’s foremost automotive journalist (Toronto Star – Wheels section), who wrote a fantastic article which was published, on the Saturday, before the event. 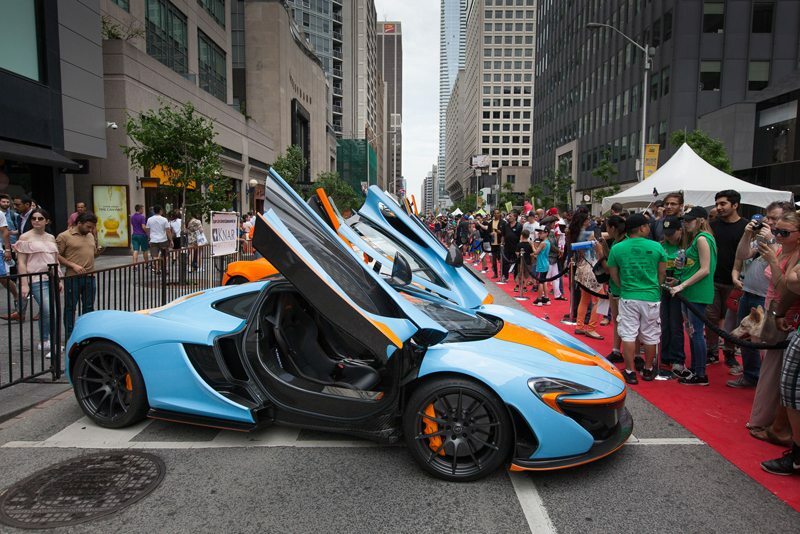 The Car Show also attracted the attention of almost every major media outlet in the city, with on-site coverage from CP24 Weekend Breakfast – https://cl.ly/lAAm, CBC Evening News – https://cl.ly/lBEt, CTV News at 6 – https://cl.ly/l9Vr, CityNews Weekend, and CP24 Breaking News. 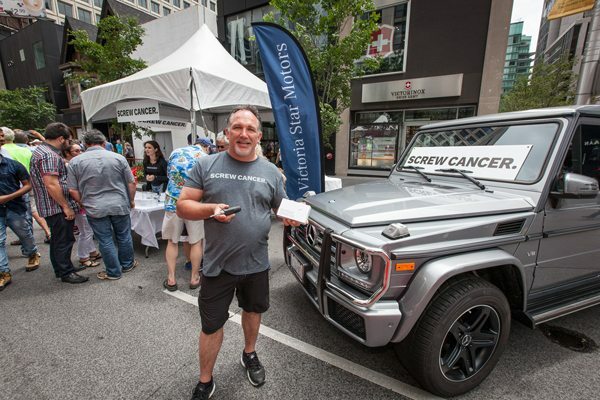 Along with the excitement of the show, attendees could enter to win in the Prostate Cancer Canada 50-50 draw, and representatives from Screw Cancer were selling screwdrivers, at their tent, on Bloor Street. 40% from every screwdriver sale went to support Prostate Cancer Canada. There was quite the buzz at the BIA tent, as hundreds entered the Bloor-Yorkville Prize Package Draw. Thanks to many our member businesses, winners of the draw received luxurious gifts worth $5,300 in total. The BIA also handed out 400 Bloor-Yorkville BIA branded water bottles (with infuser), and recipients could fill them at the City of Toronto’s HTO to go Drinking Water Trailer, which was on-site at the event. Live music from Santerias, David Leask, and Raz Hilland Quartet! The Bloor-Yorkville BIA also held a social media contest on Instagram, starting one week before the event, in order to build interest and excitement for the event, with Prizes worth $1,600. Thanks to all the prizes offered by our local businesses, we were able to make a significant impact on social media and to learn more about the customers who visit Bloor-Yorkville.